There are many types of monofins out there and it's very hard to choose the right monofin for you based on looks and price alone. This article will guide you through the different kinds of monofins and help you determine - which is the right monofin for you! All monofins can be divided in to two groups; monofins that are designed for freediving and monofins which are designed for finswimming. Some monofin models can be used for both kinds of activity and perform very well in both. You should choose a monofin that is designed for the type of activity you want to use your monofin with. 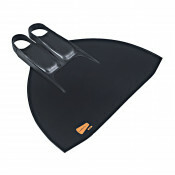 Classic monofins are mostly intended for use in finswimming, however make for excellent freediving monofins as well (several freediving world records were set with this type of monofin in the past). These monofins are very lightweight and are excellent instruments for learning and practice of proper fining technique. 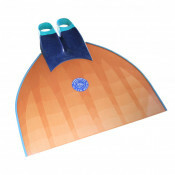 They are composed of a fiberglass blade and classic style foot pockets. Recreational & training monofins are intended for use in recreational freediving and freediving training. 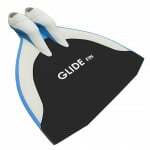 This type of monofin is comprised of a fiberglass blade with a neoprene wing for better stability when moving underwater and "regular fin" foot pockets. 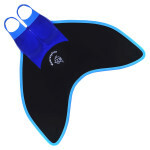 This makes the monofin very comfortable for prolonged use, enabling the freediver to use it for hours at a time. 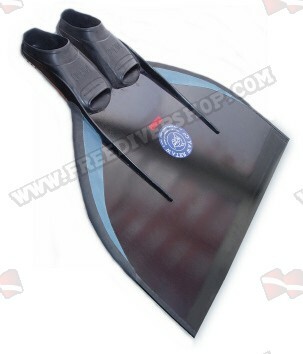 Professional monofins are designed for use in both freediving & finswimming competitions. These are very massive and efficient monofins, weighing between 2.5-3.5kg (5-7lbs) while still remaining positively buoyant at the surface of the water. 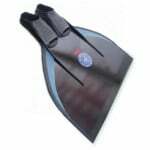 Professional monofins are comprised of a fiberglass / carbon fiber blade - lined with a layer of neoprene for stability and cone-shaped / neoprene lined foot pockets for optimal energy transfer from the freediver's / finswimmer's body to the monofin blade. Most world records today (freediving & finswimming alike) are set with this type of monofins.